Maybe you’ve heard of The Dysphagia Game. Maybe you’ve played it? The Dysphagia Game is an online game and a board game that’s similar to Chutes and Ladders. It’s a game that can be used to educate patients, clients, families and colleagues. Do you know what’s great? 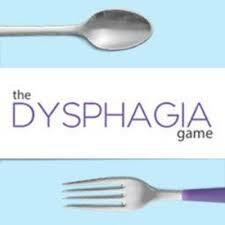 The Dysphagia Game US version will be released soon! Check out the online version at Dysphagia Game.